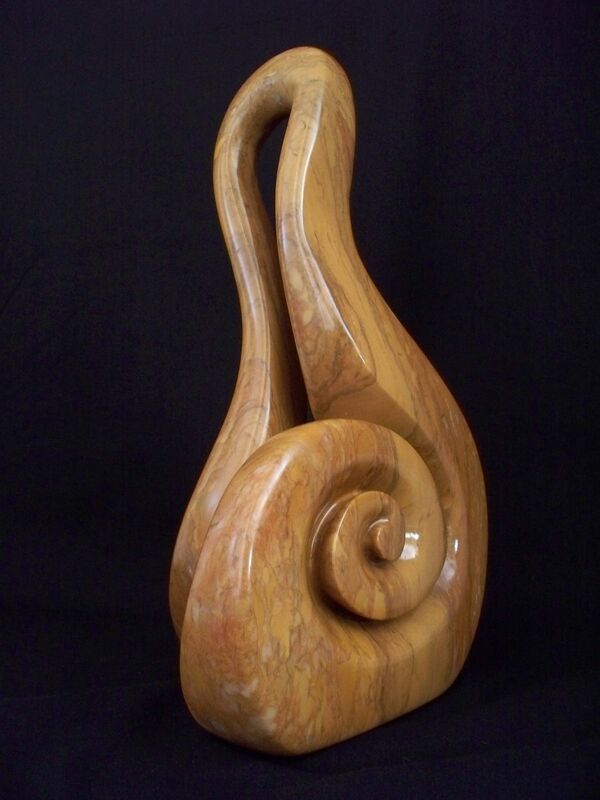 This sculpture was carved from japanese pyrophyllite. It symbolizes music. it has been sold to a private collection.